Here we have five contemporary works, united, in most part, by their dance rhythms, from composers, only two of whom were known to me (Bunch and Schoenfield). In my Piano Trio Survey, I described American composer Kenji Bunch as “writing in an uncomplicated idiom, incorporating pop simplicity and jazz harmonies and rhythms within classical forms”, and the work Swing Shift, from which the second movement is presented here, as “somewhere between contemporary classical and contemporary jazz”. These descriptions remain apt, but I don’t recall being as impressed then as I am now, and I wish that the entire work had been included here. If, by that, you infer that I very much enjoyed the performance, you would be correct. Subtle Dances by Claire Cowan, a very accomplished young New Zealand composer and performer, is a commission by NZTrio and Chamber Music New Zealand. Each of the three movements features one of the instruments, cello in the dance rhythms of the first, piano in the elegiac Be slow and lie low and finally violin in the hypnotic Philip Glass-like finale. Only a few minutes each, they are perfectly constructed miniatures that I found myself wishing were longer. Brazilian composer Raimundo Penaforte doesn’t explain the overall title of this work, but Beethoven would seem to have nothing to do with it. Each movement is inspired by, and named after, another composer, namely Astor Piazzolla, Maurice Ravel and another Brazilian composer Laurenço da Fonseca Barbosa respectively. This is the longest work on the CD, but for me, the least successful, perhaps because the composer has been restricted by electing to write music that, to some extent, is in the style of others. Judy Bailey is New Zealand born, working in Australia, and not to be confused with the British composer of the same name. This is the most “classical” of the five pieces, little concerned with dance rhythms or jazz elements. It begins and ends calmly, but the middle section features agitated discordances interspersed with a delicious tango-like theme. Like the Cowan, you are left wanting more. Paul Schoenfield’s Café Music has been remarkably successful for a contemporary chamber work: there are at least a dozen recordings currently available. It is not a work that I have warmed to greatly, but I can understand how the clever and humorous use of popular idioms and styles have won it an audience. 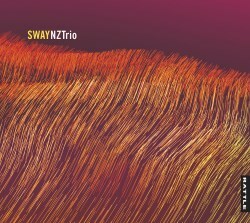 I was fortunate enough to hear NZTrio in concert recently, and they played the Cowan and Penaforte works, impressing me enough to buy this CD at interval. They formed 15 years ago with the same three players, but the concert I attended was one of the last for violinist Justine Cormack. The good news for me as a NZ resident and piano trio aficionado is that they will continue once a new violinist is found. They have made, or been part of, at least ten recordings, and imaginative programming has been a common thread. Their CDs do not feature the usual suspects - no Beethoven, Brahms or Haydn to be seen - and also demonstrate a very strong commitment to New Zealand music. The sound quality is exemplary, and the product is supplied in the form of a book, with hard cardboard covers and the CD in a sleeve inside. The notes aren’t extensive, but in each case, some words are contributed by the composer. The performances throughout are totally in keeping with the changing styles of the music. In a world when so many releases feature the same works again and again, such imaginative programming is to be congratulated, especially when it is delivered with such vibrancy.